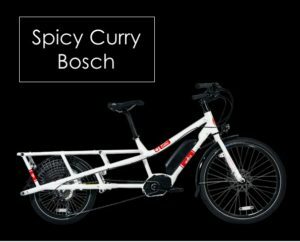 If you're looking for an electric cargo bike, look no further than Yuba's line of delivery bicycles. Many of these bikes come without a motor if you want. But we like the electric versions of these amazing bikes. 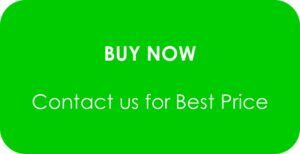 The fact that HPC does a Crystalyte conversion demonstrates the level of trust that one of the e bike industry leaders has in this bicycle manufacturer. The award-winning Spicy Curry electric cargo bike now comes with a Bosch electric bike motor. This mid-drive performance-system provides serious torque for hill-climbing. If you're a parent looking to haul kids, you'll love the extra low rear rack for added stability. Customize your cargo bike with some awesome add-ons, like cargo bags, monkey bars, of a mini-soft-spot-padded-seat! HPC & Yuba SuperMundo electric cargo bikes--Crystalyte Conversion. This is the ultimate cargo bike--a collaboration between Yuba and Hi-Power Cycles. 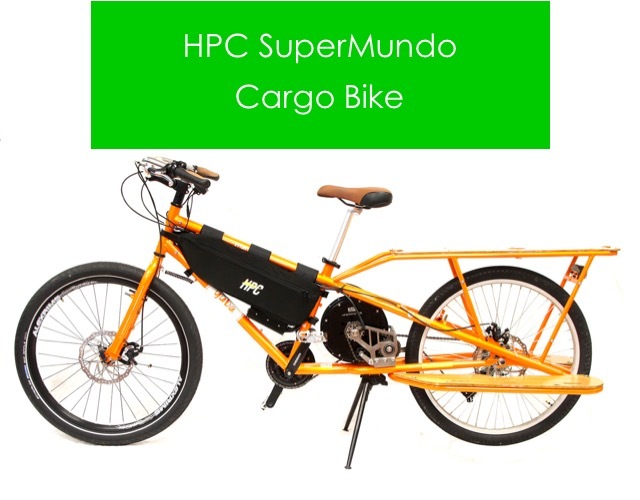 HPC designed a customized hub-drive conversion, which puts what would normally be a rear-located motor towards the center of the large delivery bike. This allows you to adjust gears to add torque on hills. 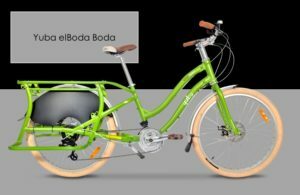 Yuba elBoda Boda are compact cargo bicycles with electric motors. This is an awesome compact-size cargo e bike. You can purchase this smaller delivery bike without a motor. We like to offer it with an e-Rad kit-motor, giving you extra hauling capacity. 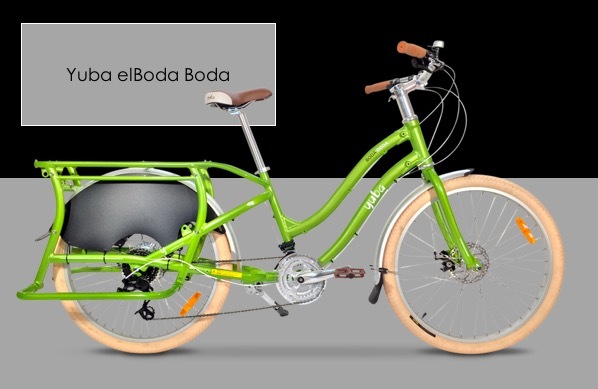 The Yuba elBoda Boda electric bike will give you up-to 220-lbs of cargo weight.